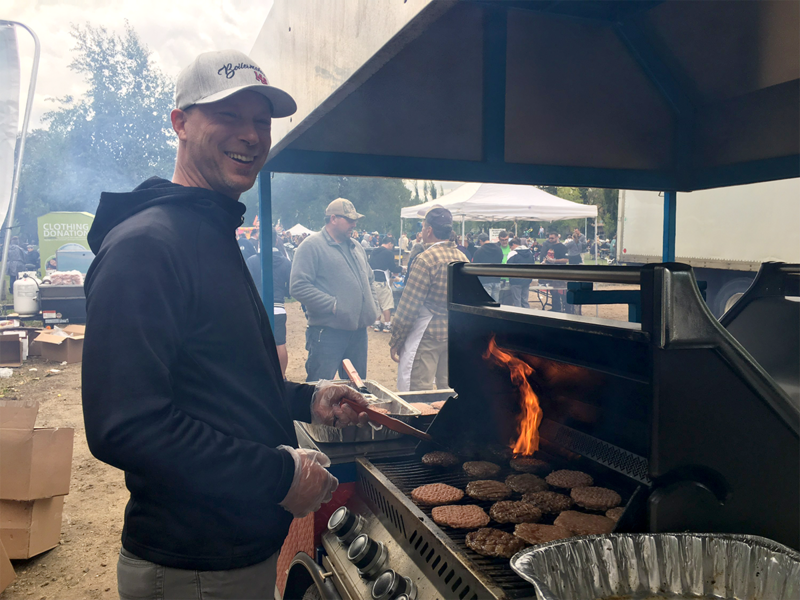 Mack Walker, one of the Boilermakers’ volunteer team, helping BBQ at the EDLC (Edmonton and District Labour Council) Labour Day BBQ at Giovanni Caboto Park in Edmonton. Photo Credit: Hugh MacDonald. The EDLC Labour Day BBQ is significant in many ways. It provides those less fortunate with an afternoon of free food and entertainment. Over 4,000 people were expected to attend this event. The barbeque is also an opportunity for employed workers to share with those who have not been as fortunate in gaining or keeping adequate employment.